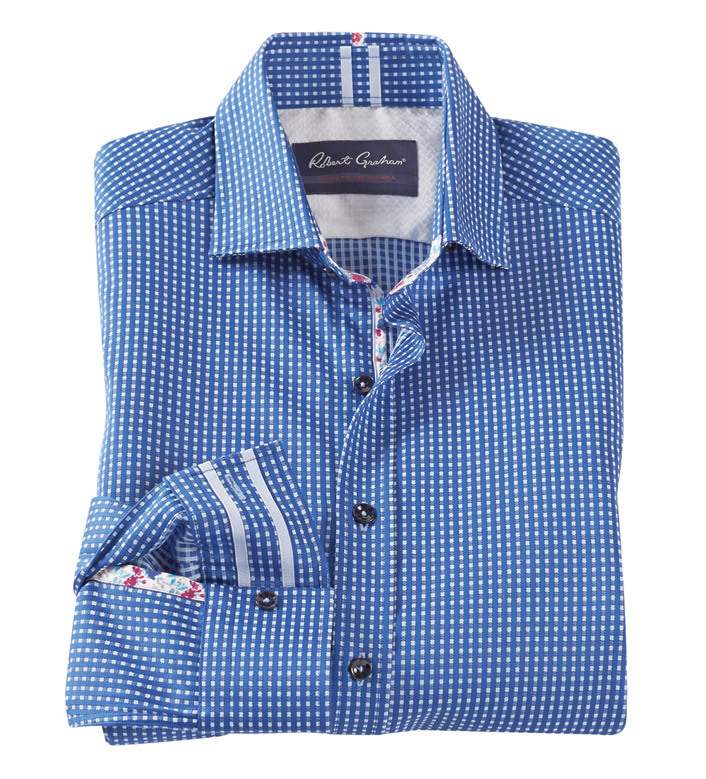 Classic, satin checks up-to-date in a luxe, cotton blend. Tailored fit, long sleeves, hidden button-down collar, contrast print and grosgrain ribbon trim, shirttail hem. 97% cotton/3% spandex. Machine wash. Imported.